If you are planning to travel to Costa Rica, here you will find the best connections from Europe to Costa Rica. 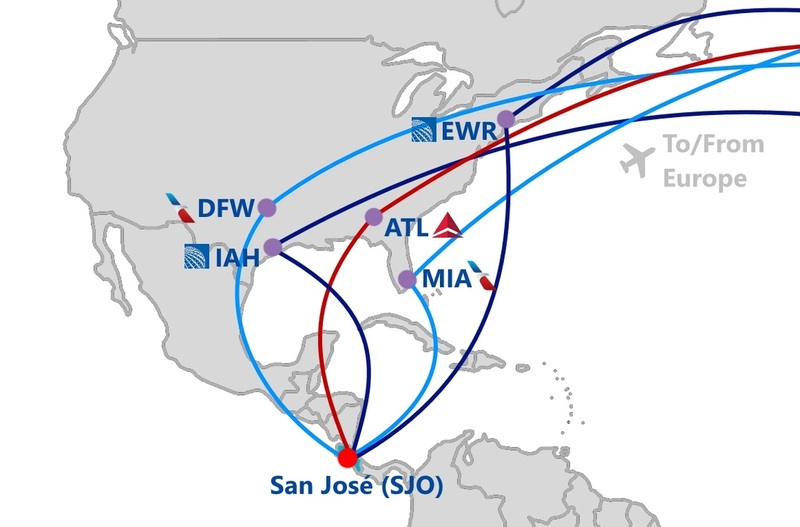 Several US and European carriers fly to Costa Rica either directly or through hubs in North, Central and South America. The flight operates on Sundays, Mondays and Wednesdays. 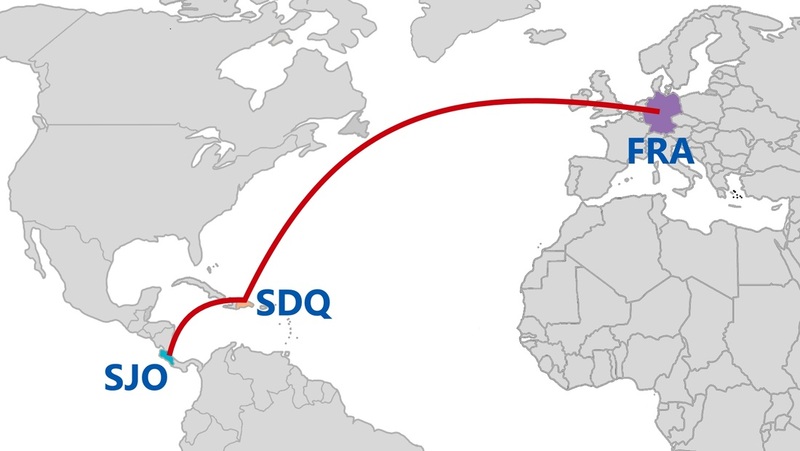 It leaves Frankfurt (FRA) in the evening and arrives very early the next day in San José (SJO) (one stop in Santo Domingo (SDQ), Dominican Republic). Lufthansa offers excellent connections for this flight from many European cities. Non-stop every day. 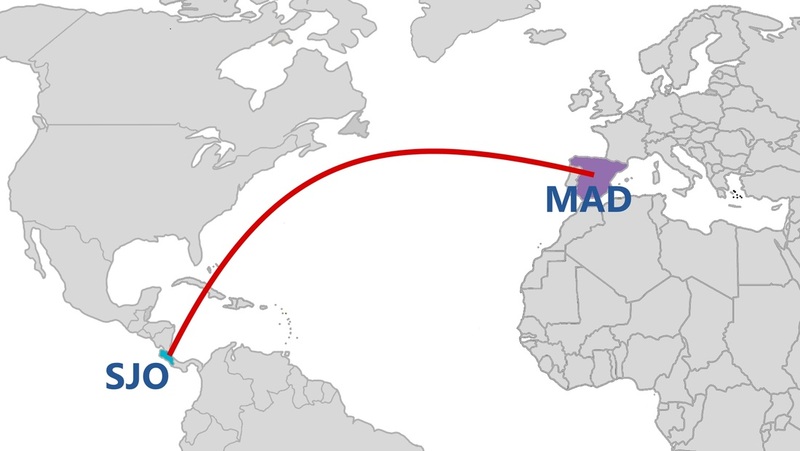 The flight leaves Madrid (MAD) around noon and arrives the same day early afternoon in San José (SJO). This flight leaves London-Heathrow (LHR) in the late evening. Passengers change planes in Bogotá, Colombia (BOG) and arrive early morning in San José (SJO). 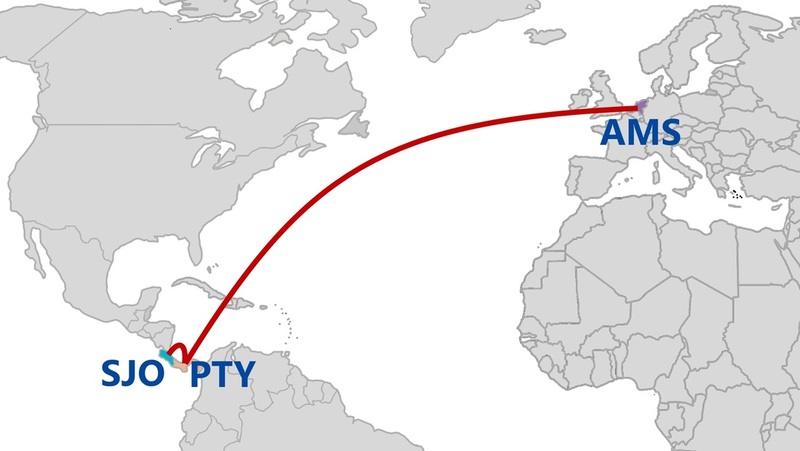 This flight leaves Amsterdam (AMS) everyday around 11:30 h to Panama City (PTY) with almost immediate code-share flight with Copa Airlines. Arrival in San José (SJO) in the early evening. KLM offers excellent connections for this flight from many different European cities. 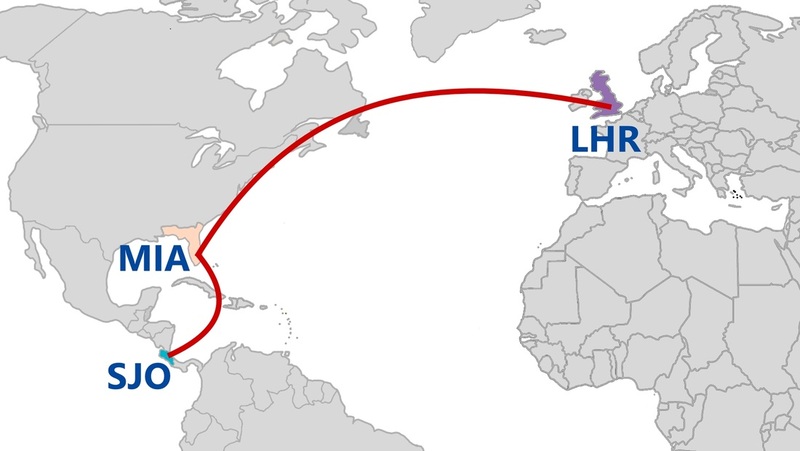 The flight from British Airways leaves London-Heathrow (LHR) everyday around 10:00 h. It connects in Miami (MIA) with an American Airlines flight that arrives the same day in the late evening in San José (SJO). British Airways offers excellent connections for this flight from its London-Heathrow hub. 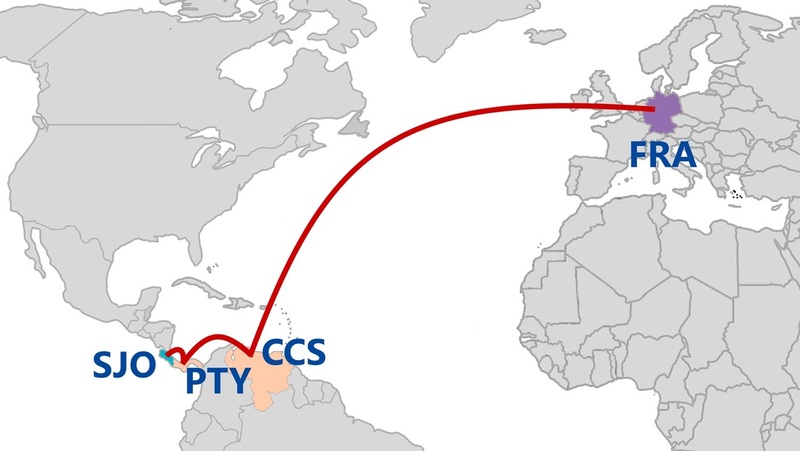 This Lufthansa flight leaves Frankfurt (FRA) around 10:30 h every day, with connection in Caracas (CCS) and continuation with Copa Airlines via Panama City (PTY). Passengers arrive in the late evening in San José (SJO).